Before we continue, let's get a couple of things straight: this is the DROID Turbo (model number XT1250), a souped-up version of the Moto X 2014 that's exclusive to Verizon in the United States. It's ostensibly a sequel to the DROID Maxx from 2013, and like almost all Verizon-branded devices, it has a locked bootloader. No custom ROMs for the poor DROID Turbo. And this is the Moto Maxx (model number XT1225), the exact same phone released without the Verizon branding or a locked bootloader, and currently sold only in Latin America. Bummer. Now for the fun part. This is the CyanogenMod download page for the "quark," the codename that the developers have given to the Moto Maxx. Owners who unlock their bootloader via Motorola's online tool, then flash a custom recovery, can try out CyanogenMod's flavor of Android Lollipop right now (albeit with a few bugs, since it's a nightly). Of course, it's not as if they have to wait that much longer - Motorola's soak tests for the official OTA update began about six weeks ago, so it should be coming out soon. 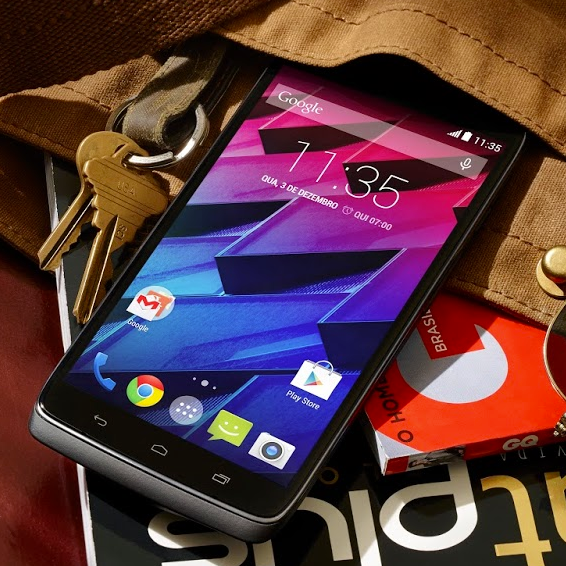 The nightly build for the Moto Maxx will not work for Verizon's DROID Turbo. Neither will the official Lollipop builds, whenever they become available. DROID Turbo owners will have to wait for the 5.1 update (which might be a while) or hope that someone cracks the bootloader, as has happened for the last three generations of DROID phones. But with only a single model in the line and the Verizon-compatible Nexus 6 available to ROM enthusiasts, I wouldn't hold my breath. Enough moping about Verizon exclusives. If you're lucky enough to live in Latin America and own a Moto Maxx (or you've snagged one from an importer), give CM12 a try - you might miss Motorola's voice actions and gestures, but you might appreciate CyanogenMod's customizations even more. Grab a Gapps package and flash it too if you want access to the Play Store and Google services, and a recovery backup wouldn't hurt.